Etihad Guest SBI card and Etihad Guest SBI Premier Card – Annual Fees, Miles, Rewards, Welcome Gift, Introductory Offer, Discount, Insurance. SBI Card tie up with Etihad Guest, the loyalty programme of Etihad Airways to launch travel specific visa credit card for members and Indian travellers. This is the first international co-brand partnership of SBI card, the country’s second largest credit card issuer. 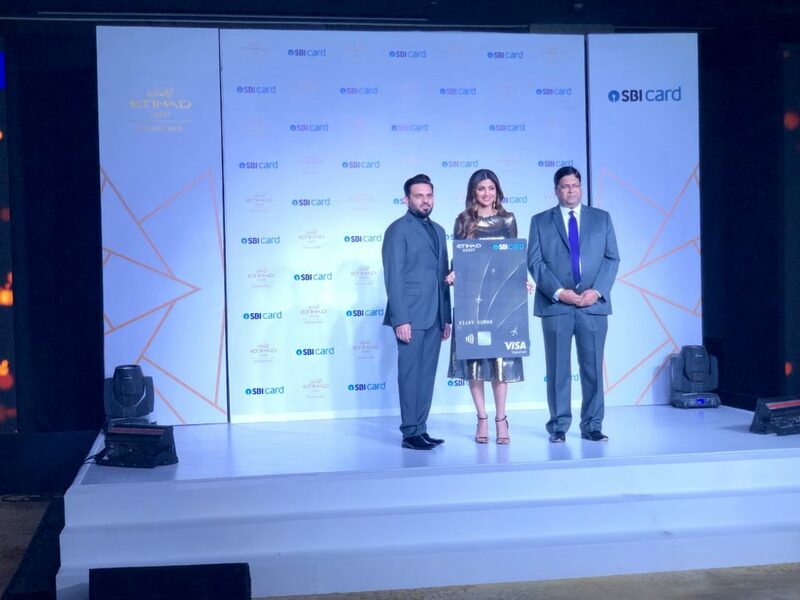 The card will be available in two variants – Etihad Guest SBI Card and Etihad Guest SBI Premier Card, will bring an unmatched value proposition to Etihad Guest members and international travellers from India. It has been launched against the backdrop of increasing international travel in the country. As per SBI card portfolio, travel is now a key spend category for Indian consumers, with 33 percent of overall card spends made within travel industry. 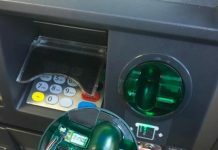 Here is this article, we will briefly get into details and benefits of both the cards – Etihad Guest SBI Card and Etihad Guest SBI Premier Card. Annual Fee (one time) – ₹ 1,499/-+GST. Renewal Fee (per annum) – ₹ 1,499/-+GST. Fee Reversal – Spend Minimum of ₹ 3,00,000/- in a year and get annual membership fee reversal 2nd year onwards. Welcome Gift – Complimentary Etihad Guest Silver Tier Status post first card transaction and free Wifi voucher on first flight booking. Introductory Offer – 8 percent discount on economy class and 10 percent discount on business class. 1 Etihad Guest miles on every ₹ 100 spent on other spends. 1 companion voucher on annual spend ₹ 10 Lakhs. A maximum fuel surcharge waiver of ₹ 250 can be availed per statement cycle on your Etihad Guest SBI Card. With Etihad Guest SBI Card, you can empower your family with Add on Card for your parents, spouse, children or sibling above the age of 18. Convert your transactions in EMI. Annual Fee (one time) – ₹ 4,999/-. 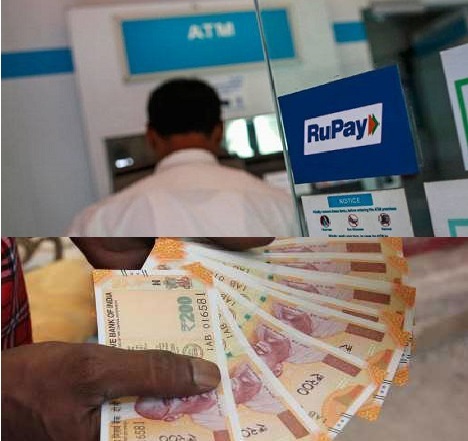 Renewal Fee (per annum) – ₹ 4,999/-. Fee Reversal – Spend Minimum of ₹ 5,00,000/- in a year and get annual membership fee reversal 2nd year onwards. Welcome Gift – Complimentary Etihad Guest Gold Tier Status post first card transaction and 2 free Wifi voucher on first flight booking. 2 Etihad Guest miles on every ₹ 100 spent on other spends. 1 companion voucher on annual spend ₹ 8 lakhs. Access over 1000 Airport Lounges worldwide. With Etihad Guest SBI Premier Card, you can also apply for Add on Card for your parents, spouse, children or sibling above the age of 18. Flexipay facility is also available in Etihad Guest SBI Premier Card which empower you to convert your transactions in EMI. 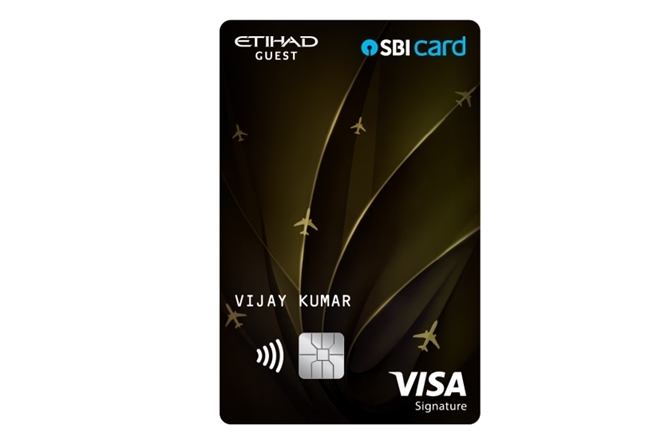 So, Etihad Guest SBI Card is definitely a very Good option for frequent international travelers as it enables them to earn miles on every spend. But it depends on final earning rate or redemption value for miles earned. The new tie up offer an accelerated rewards programme which offer you handsome miles benefits on hitting spending targets. If you are already holding SBI card like SBI Elite or SBI Prime, you can still apply for Etihad Card as alternative card.